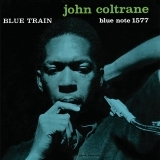 Blue Train is ranked 2nd best out of 68 albums by John Coltrane on BestEverAlbums.com. The best album by John Coltrane is A Love Supreme which is ranked number 87 in the list of all-time albums with a total rank score of 27,536. Related links: top tracks by John Coltranetop tracks of the 1950s, top tracks of 1957. Showing latest 5 ratings for this album. | Show all 480 ratings for this album. Coltrane ultrapassa os limites da música. lazy bird is the right way to close this sucker out!! The starting point for my love of jazz, and the first album I really was mesmerized by. While not as great a revolutionary opus as A Love Supreme, Blue Train is nevertheless its equal as an exemplary exposition of what great jazz can be. This one is highly listenable without forsaking any of the compositional and improvisational challenge that sets Coltrane apart in the first place. Personally, I rate it on par with Love Supreme and ahead of Giant Steps and Favorite Things. Blue Train is one of John Coltrane's best albums. Alongside Giant Steps, it is the best work he did during his hard bop years. THe title track and "Lazy Bird" are the best tracks on the album, but "Moment's Notice" and "I'm Old Fashioned" are almost a=on par, with "Locomotion" being just a step behind. Coltrane was one of the greatest sax players ever, and this is definitely one of his best works. A great piece of interesting, creative and skillful instrumental jazz. However, I feel some of the tracks are perhaps too long and repetitive at times. Still a great listen though. The title track is as good as "My Favourite Things". The rest is pretty consistent, too. Coltrane at his happiest and brightest, regardless of the title. A cab drive through New Orleans and the radio is playing some empowering tunes recreated by a magician.